Suppliers > Laser Pegs Ventures, LLC. 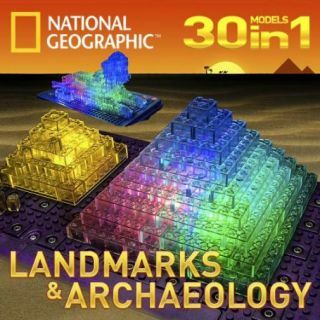 Build 30 lighted construction models of Landmarks & Archaeology. 100% Compatible with other major construction bricks. Reguires 3 AA batteries, not included. 32 Laser Pegs, 244 Construction Parts, 3D Lite Board, 1 instruction manual. For ages 5 - adults.